If you’ve been waiting for a sale on iTunes cards, now is the time to hit up your local Costco. With sales on iTunes cards rarely going beyond 10% off in the past few years, Costco is your best bet for the maximum discount. 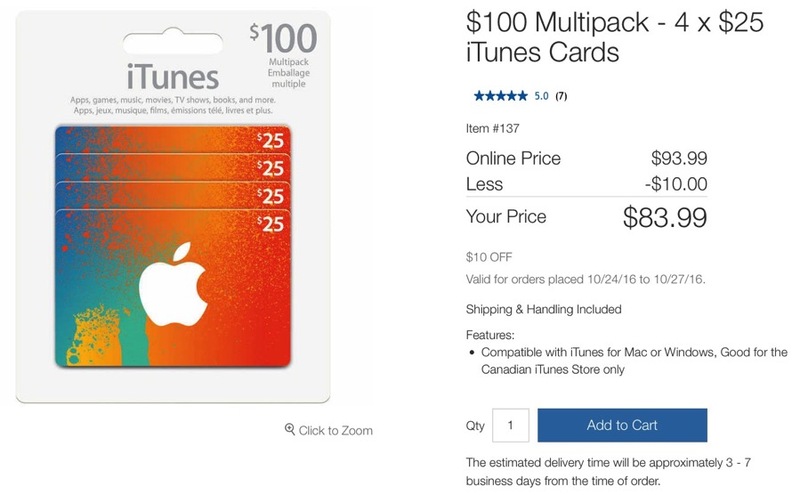 Costco warehouses, starting today, have $100 iTunes multipacks ($25 x 4) for $79.99 (they’re normally $89.99 in-store), which is 20% off, saving you $20. If you want to save yourself the time and effort to visit your local Costco, the cards are also available online but at $83.99. That $4 you pay for shipping may be worth the time you save from visiting a store (and also spending $500 on a random cart full of items). Online, it says the discount is only available from today until Oct. 27th. What’s the benefit of buying a discounted iTunes card? By funding your iTunes account with these cards, you’ll save 20% off any subscriptions or purchases. So that means 20% off Apple Music, Netflix and anything else that can be funded from iTunes. We confirmed with Costco locations in both West and East that the sale is available in-stores. However, the Billy Bishop location in Toronto said they didn’t have any in stock, while one store in Calgary said these cards aren’t available in western Canada. 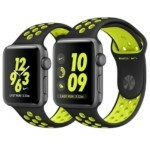 But another Edmonton store said they’re still widely available. Get your stories straight, Costco. Let us know if you’re going to pick some of these up!